As you likely all know, today was Reggie Fils-Aime’s first day. 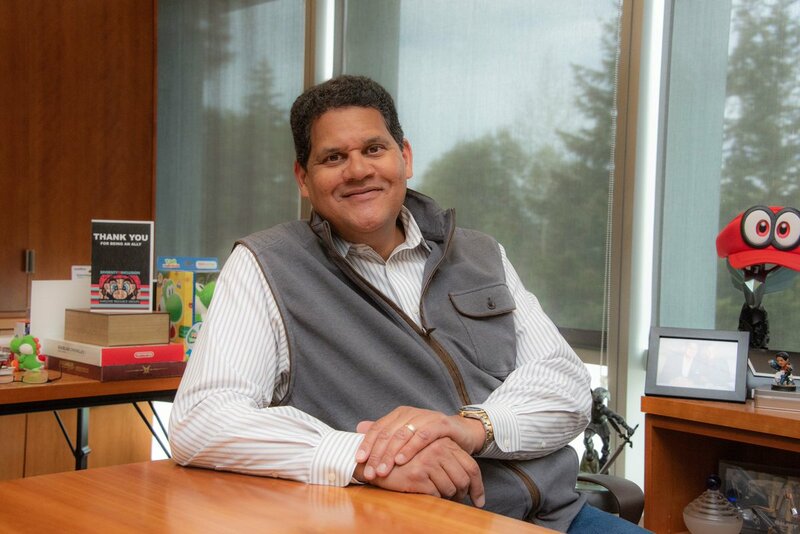 Indeed, after 15 years as Nintendo of America president, Reggie is now no longer at the company, having decided to step down in order to enjoy his retirement. But that doesn’t mean Reggie isn’t going to be online any more. Oh no, while he may have stepped down from Nintendo, it seems he hasn’t deleted his internet presence altogether. Instead, the ex NOA president now has his own account on Twitter, where he’ll be posting his own thoughts on the gaming industry, Nintendo and life in general. Yeah, it’s still early days right now. You’ve got three tweets there, including his intro to the new account, a look at his original E3 badge and a thank you for people who followed him there. But still, it’s nice to see an ex Nintendo employee active on Twitter none the less, and the fact it’s Reggie himself makes it even better. That’s like if Miyamoto opened a YouTube channel, or Masahiro Sakurai started regularly posting on Instagram. So check it out. Give Reggie a follow, there’s sure to be some interesting gaming stuff posted here in the near future!